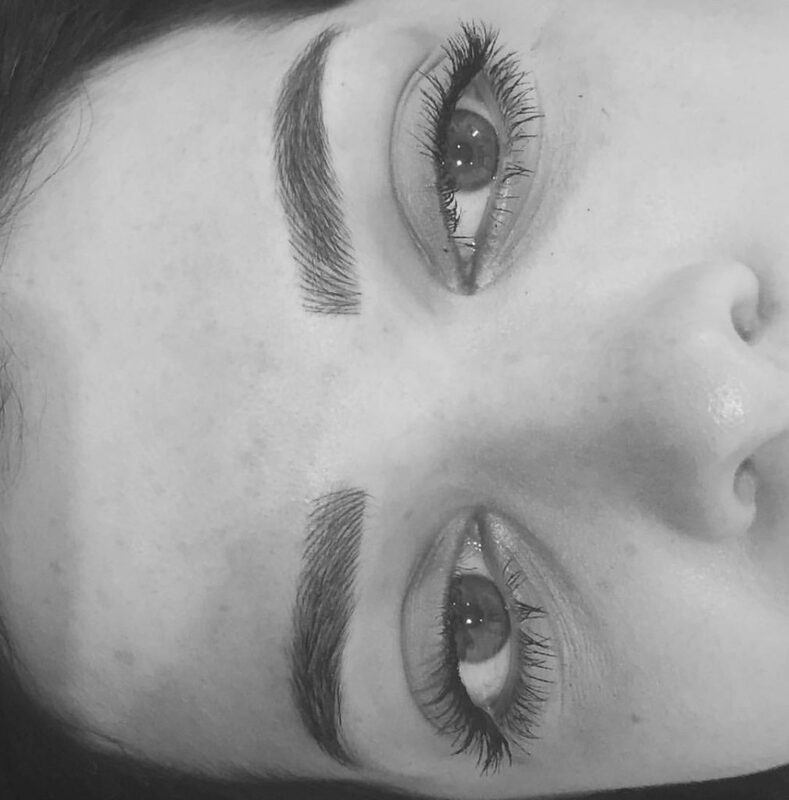 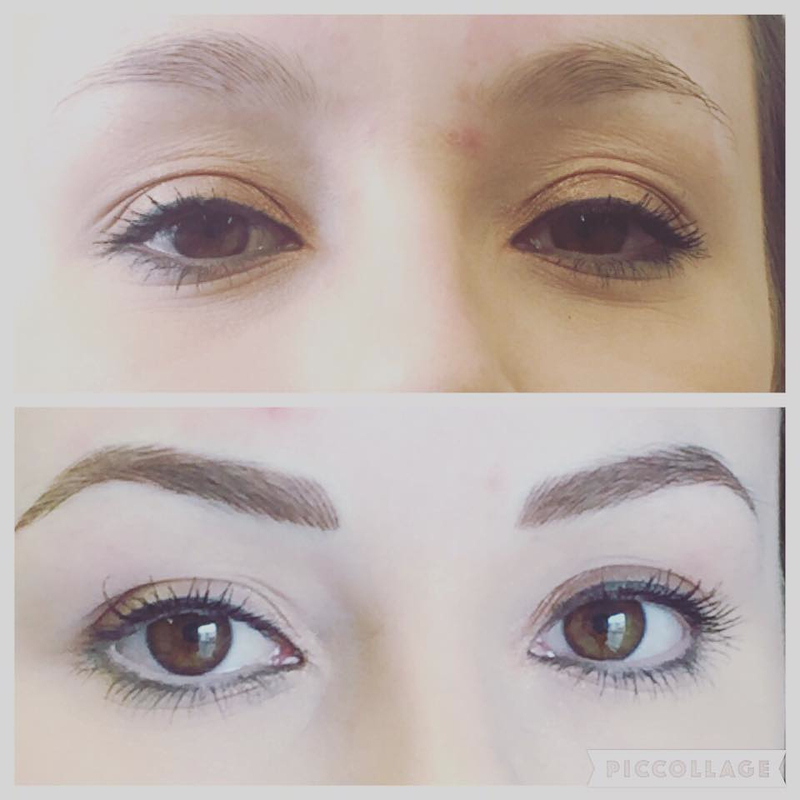 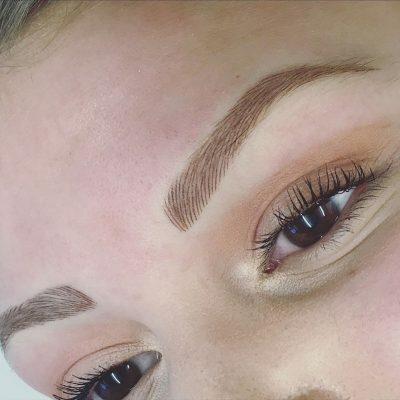 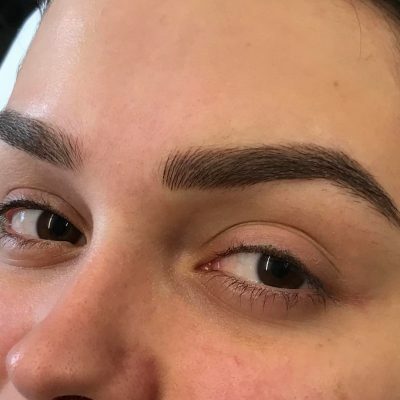 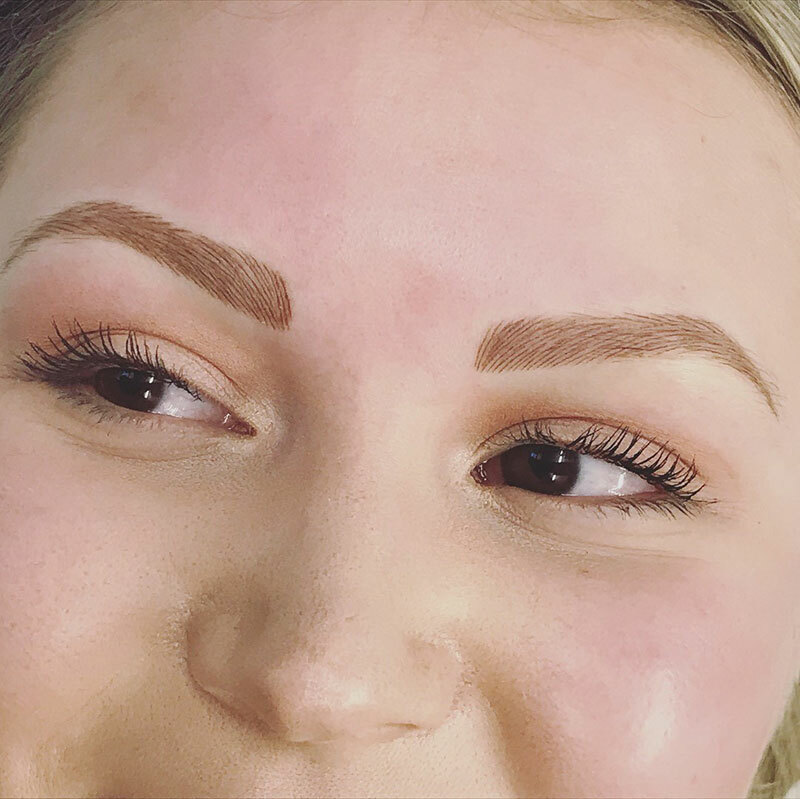 The popularity of permanent eyebrows has dramatically risen in the last couple of years, with the media coverage of well-known celebrities and sports professionals openly sharing their love for cosmetic tattooing. 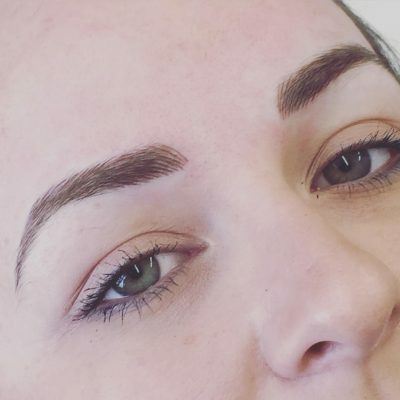 As a result permanent brows (Microblading, Ombre and Hairstroke Eyebrows) have become one of the most popular services in my clinic and I am thrilled to share with you on our testimonials page the feedback of thousands of happy customers. At Theresa Wild Permanent Cosmetics we use only the best quality colour permanent makeup pigments on the market and latest hair stroke and powdered techniques. If you are looking for a full reconstruction of eyebrows, or just want to your showcase and enhance your current brows, I will work with you to create and shape a look that is elegantly understated, effortlessly natural and perfectly defined. 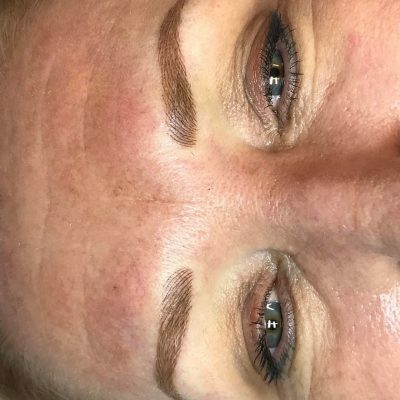 Due to my extensively booked diary and the popularity of this treatment in the South-West, I advise that retouch bookings are made up to 12 weeks in advance to avoid disappointment. 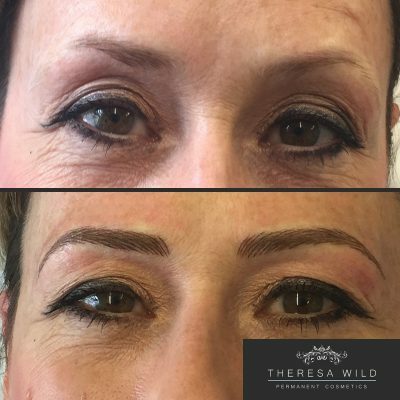 Please note: With all permanent make up treatments the colour may fade – up to 40% with eyebrow colours. 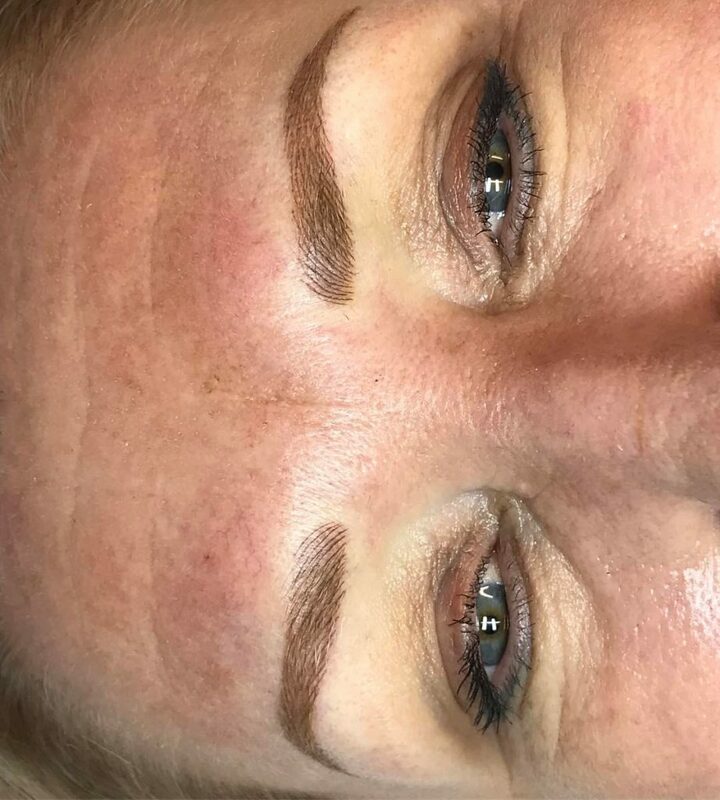 If a second retouch treatment is required to complete your treatment (due to various skin types) this should be taken within 5 months of your original treatment. £50 deposit, then £250 on the initial appointment, then remaining £50 at the retouch.